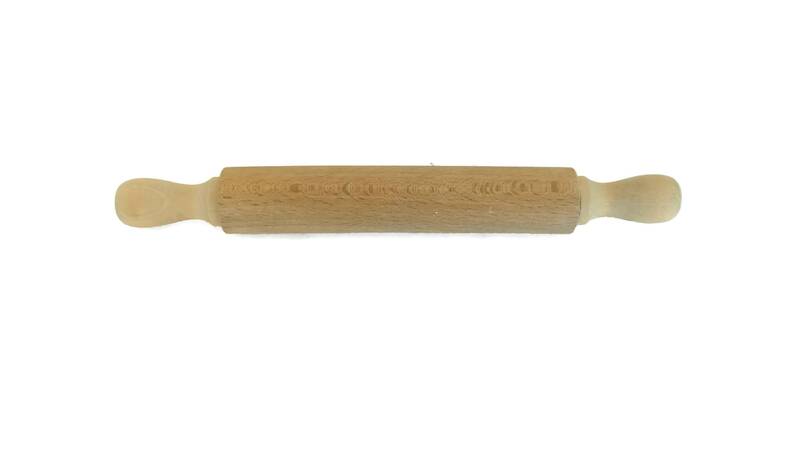 A vintage Italian ravioli maker mold and its rolling pin manufactured in Torino by Raviolamp in the 1950s. 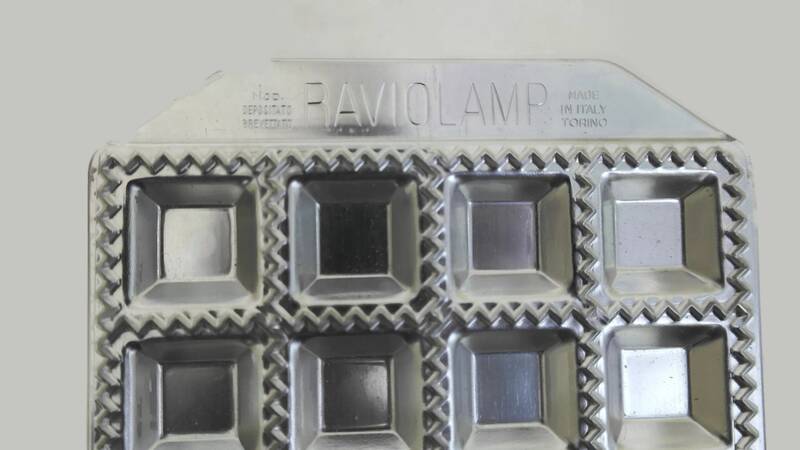 The metal mold has been made from stainless aluminium and can be used for the preparation of 36 1" square ravioli at a time. 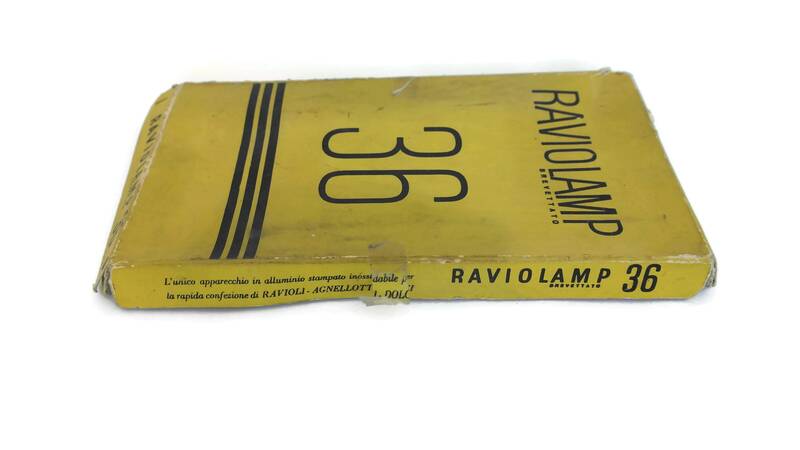 The marks on the mold read: "RAVIOLAMP MOD. 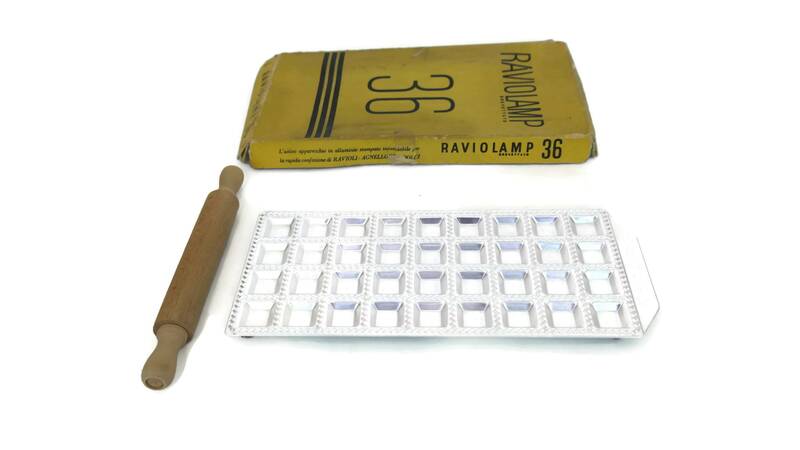 DEPOSITATO BREVETTATO MADE IN ITALY TORINO". 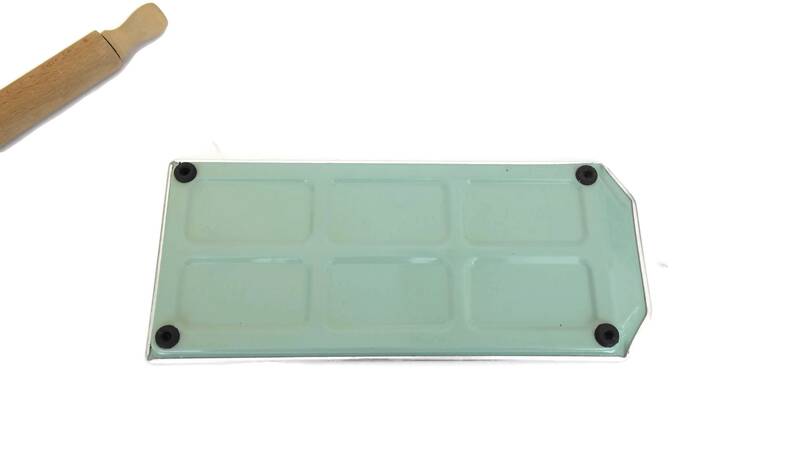 The reverse side is lined with enamel with four little rubber feet. 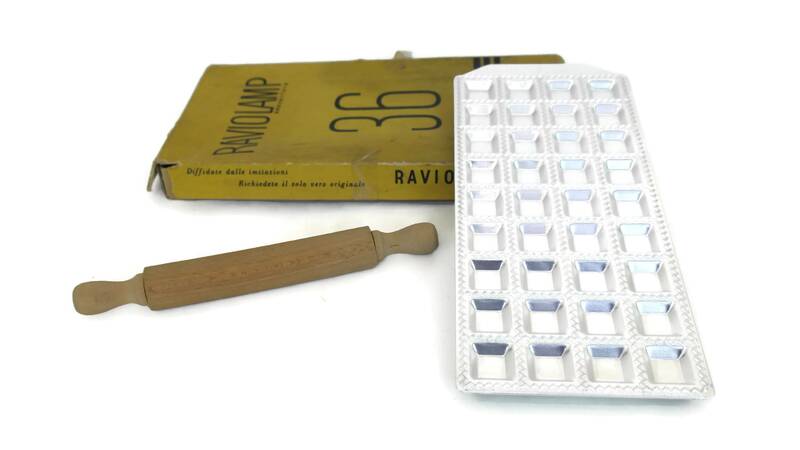 The ravioli mold comes with its original presentation box and a wooden rolling pin. 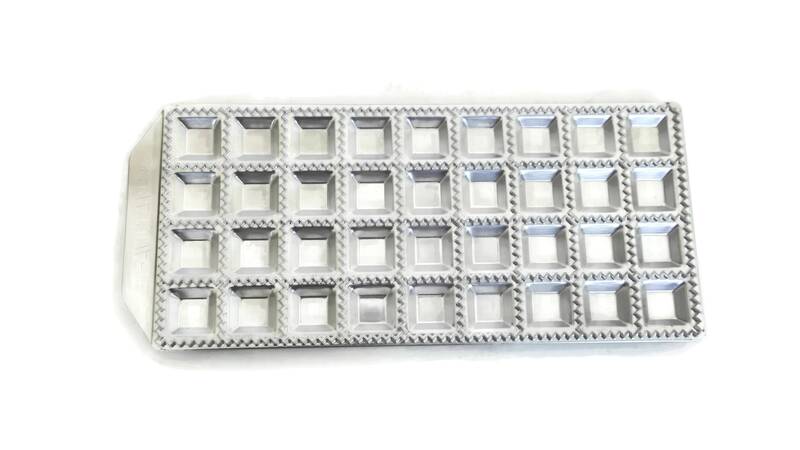 The pasta cutter tray will make a great kids cooking gift. 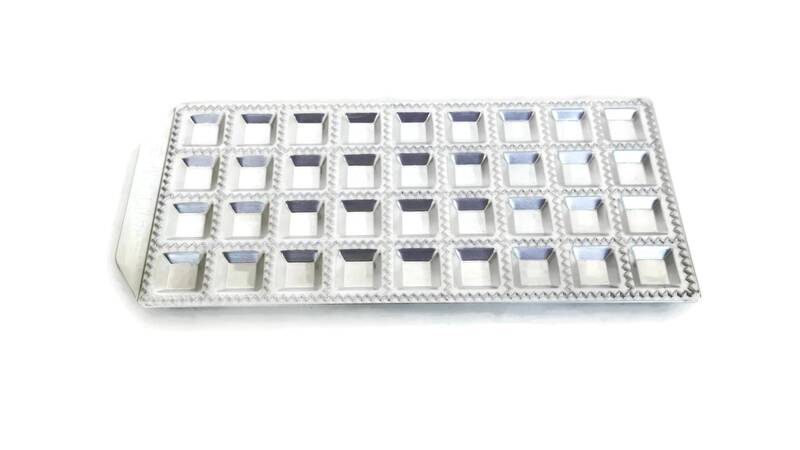 Tray: 12.5" Long x 5.5" Wide (32 cm x 14 cm). 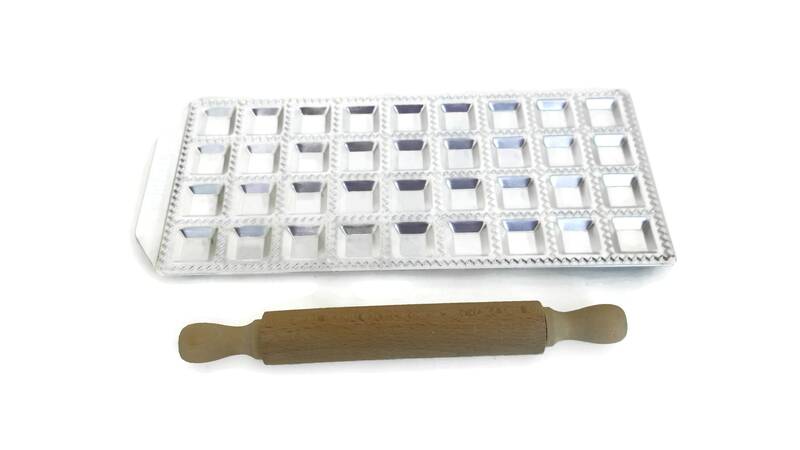 The ravioli mold and the wooden rolling pin are in very good vintage condition. 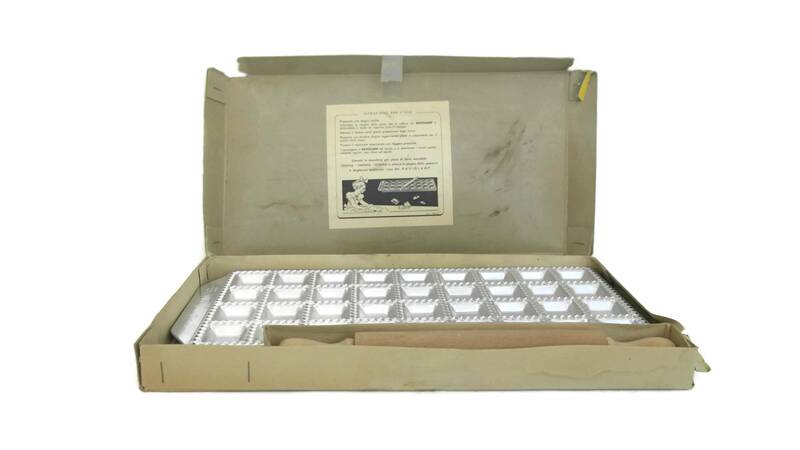 The original presentation box is in fair condition with tears and marks.